Step 1 – Online registration: August 21 at 8 a.m. – September 13 at 5 p.m. 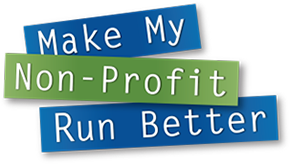 Registration for the 2018 Make My Non-Profit Run Better contest begins August 21. Non-profit organizations will have more than three weeks to complete the registration form. Entrants can register as either a “large” or “small” non-profit based on annual revenue. During this time, anyone may visit the website and view the entrants, but no voting will take place. Online registration ends at 5 p.m. on September 13. Step 2 – 1st round of online voting: September 14 at 8 a.m. – September 20 at 5 p.m.
Let the first round of voting begin! The first round of voting will narrow the contestants down to a group of 10 finalists – five finalists in both the large and small non-profit categories. Your story and information will be listed on this website for the public to review. As a participant, we encourage you to use the prepared marketing resources to motivate supporters to cast their online votes. Make sure to tell family, co-workers and friends to visit the website and vote for your organization! Your supporters may vote once every 24 hours per category per email address. All finalists will be asked to provide a 1-2 minute YouTube video highlighting their organization and their need for an office technology makeover. Step 4 – 2nd round of online voting: September 28 at 8 a.m. – October 4 at 5 p.m. The second round of voting will determine the winning organizations. Non-profits, don’t forget to use the resource materials and encourage your supporters to vote again. RK Dixon will announce the winning organizations on WQAD. The first-prize winner in the “large” non-profit category will receive an office technology makeover valued at up to $30,000*. The second-prize winner will receive an equipment package valued at up to $10,000. The first-prize winner in the “small” non-profit category will receive an office technology makeover valued at up to $15,000*. The second-prize winner will receive an equipment package valued at up to $5,000.